The Women’s Technology Empowerment Centre (WTEC ) and major tech players have celebrated the International Day of the Girl Child to also highlight gender inequalities remaining between girls and boys. WTEC partnered with Intel, Oracle, iDEA Hub, KraveX and Bella Naija to organize a one-day celebration, which took place at the iDEA Hub in Lagos recently. According to the organizers of the event 52 girls between the ages of 8 and 20 were in attendance and participated in learning sessions on digital animation blogging and the hackathon. The event saw the girls presented their projects to the audience and prizes were awarded to the developers of the best projects under the scratch programming, mobile application development and blogging categories. Also at the event women in technology shared their career journeys in technology, as well as the impact of technology on their lives, included: Olasimbo Olatoregun (Intel), Folake Oyekanmi (Intel), Folake Adeniyi-Adeleye (Oracle), Ihuoma Okoroafor (Oracle) and Terae Onyeje (KraveX). ‘’The celebration was intended to highlight women’s achievements in the area of information technology and to serve as a forum to inspire and encourage girls to consider studies and careers in the growing field of ICTs’’, WTEC said in a statement. 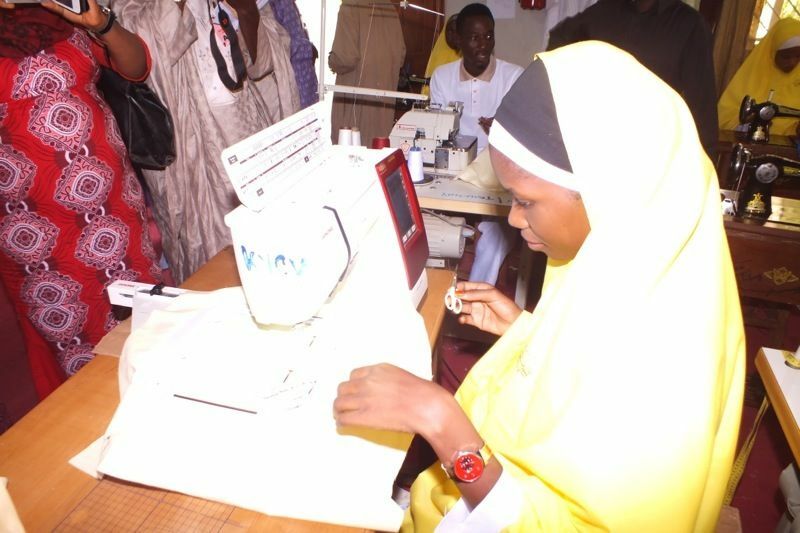 The Women’s Technology Empowerment Centre (WTEC) is a Nigerian non-governmental organization that builds the capacities of Nigerian girls and women, to increase their economic power and ability to speak about issues affecting their lives, through ICT-based training and projects.